This is the third post in our series about data security for small businesses. To find out more about the series and see a list of posts, go to A Terrifying Statistic for Small Businesses. You can also read our previous posts on password protecting your business and protecting your business in the cloud. A few years ago, I lost everything on my hard drive—and I mean everything. All of my files were gone; all of my documents, all of my music, all of my university-related materials, my locally stored e-mails, and my photos. My hard drive failed, and there was nothing I could do to get any of those files back. I had to start over. Are you prepared to deal with this situation if it happens to your business? Modern businesses keep almost everything on a computer—customer information, tax data, inventory figures, pricing details, employee information, and more. Unless you keep a huge paper filing system, it’s unlikely that you have anything that’s not stored on your computer. So what happens if your PC dies? Or your laptop gets stolen? 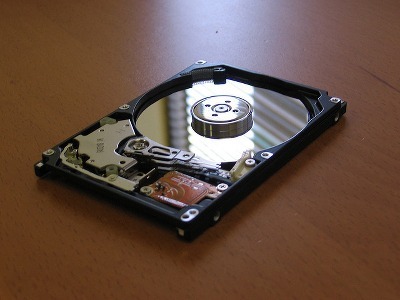 What if you fall victim to a cyber attack and have your hard drive erased? Are you prepared to get back up and running in a minimal amount of time? If not, it’s time to start backing up your business. 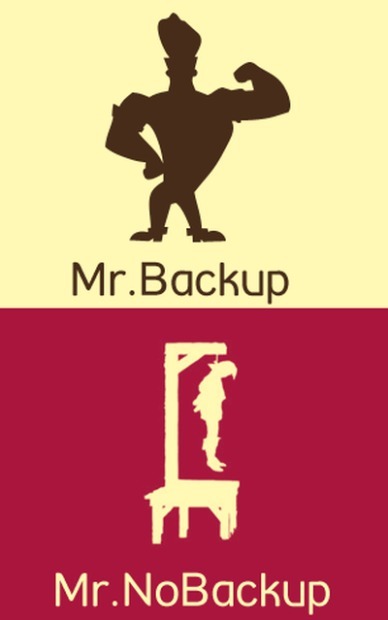 Unless you’ve been in the information technology business, or following small business tech blogs, you might not know exactly what I mean by “backing up your business.” In short, a backup is a copy of a file. It’s like taking a picture of a file, and having that version stored in case you need it again. A great example of where this could be useful is if you create a backup of a file that contains your customer contact details. Let’s say you make an edit to one of your customers, but you later find out that it was incorrect. You now have an incorrect phone number for one of your customers. One way to fix this problem is to look at your backup file and see what the phone number was before you changed it. By keeping backups of all of your important files, you can also be assured that even a catastrophic event that destroys your local hard drive (or the entire computer) won’t erase your important business data. Whether you back up to a local external drive or to a server in another country, you’ll be able to download copies of all of your important files in a matter of hours. And having backup copies means that you won’t have to pay a data recovery expert to try a very, very expensive and chancy process to get corrupted data back from your hard drive. Because we’ve been talking about cyber crime recently, you might be wondering if your backups are secure. 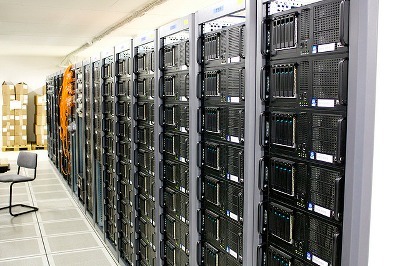 What if you store all of your important information on a backup server, and that server gets hacked? Fortunately, most providers of backup services encrypt their data, so there’s no chance that your files could be stolen. CrashPlan, the service that I use, uses 448-bit encryption on all of the files that are stored on its servers. If you create a local backup, you can choose the level of security and encrypt your backup files so that no one can get access to them, even if they end up getting access to your computer. Using a well-attested system like PGP (which we’ll discuss in another post soon) will help keep your data extra secure. Because so many people rely on backup files and are concerned about the privacy of their data, most backup services use excellent security measures. How Do You Start Backing Up Your Business? Once you’ve seen all of the benefits to backing up your small business data, you’ll probably be wondering how you can get started. By answering a series of questions, and then taking some steps based on your answers, you’ll have a good idea of what to do next. When backing up your data, you can store it either locally (i.e., on an external hard drive somewhere in your home or office) or remotely (on a server that belongs to someone else). There are advantages to both. Restoring files from local backups is much faster than from a remote server. If you need to re-download a huge amount of data, the difference could end up being a number of hours or even days. So if you plan on restoring a lot of your data, a local backup could be a good decision. On the other hand, a local backup is much more easily destroyed. If there’s a fire in your office, or your town gets flooded out, your backup hard drive could be made just as unusable as your computer, meaning that all of your backing up wouldn’t do you any good. That’s where having a remote backup server helps a lot. I recommend using both a local and a remote backup server. I back up all of my files to a local hard drive and to a remote server, ensuring that I have the maximum amount of protection without sacrificing restoration speed. Whether you decide to back up your files locally or remotely, you can decide to do it yourself or have another company help you. While DIY is cheaper (often free), paying for a remote backup service often provides a number of great features that would be quite difficult to create on your own. For example, many services offer versioning, so that every time you make a change to a file, a new copy is made. If you create a file and then edit it 100 times, there will be 101 copies of that file on your remote server, letting you effectively move back in time to see what the file looked like at any point in the past. Backup providers also usually offer a very high level of encryption, further adding to the security of your business. And, of course, paying someone else to take care of your backups means minimal setup and a lot less hassle than doing it yourself. Many backup programs allow automatic backups, so that all of the files that you’ve told it to back up are copied either at a specific time or whenever they’re changed. This can use a lot of bandwidth, however, and if you have a slow internet connection, it could slow you down quite a bit. Manual backups let you choose the time at which things are backed up. While this gives you a lot of control over your connection, it’s also quite easy to forget—and forgetting to back up your files is a huge mistake. I always recommend automated backups, no matter what you’re backing up. While there are a number of different ways to start backing up your business, there are a few options that I tend to recommend. If you’re looking for an automated solution, I highly recommendCrashPlan. It’s easy to set up, it’s quite affordable, and you need to do almost nothing to keep it running. They offer unlimited storage, and will back up an unlimited number of versions of your files. It’s easy to back up to both local and remote servers, too. If you don’t want to pay for CrashPlan, and you use a Mac, Apple’s Time Machine is a good option. It also allows for both local and remote backups, though you can only get 5GB of storage space in iCloud (if you’re going to use Time Machine, it’s a good idea to get buy an external hard drive to store your backup files). A good Windows alternative is AOMEI Backupper. Although it doesn’t let you schedule backups, it does provide some great options for encrypting and compressing backups, which will save space on your external drive. And of course, you can always just copy important files to Dropbox to keep backups, too, though this is a much more limited solution. I can’t overstate the importance of backing up your files. Most people start backing up on a regular basis after they’ve lost their data for one reason or another, which means that the first round of information is just gone, and there’s no way to get it back. Don’t wait to experience the pain of data loss to start backing up! Be proactive, do some research, and find a solution that works well for your business. Even if you never need to use it, the added peace of mind will be well worth the expense. Image credits: Gary J. Wood, Torkild Retvedt, Sean MacEntee via Flickr. Get all of our posts on cyber security delivered directly to your inbox!